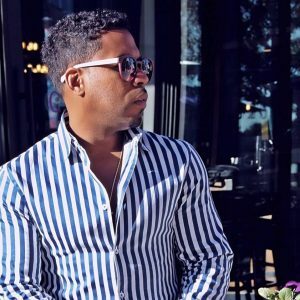 Born Bobby Wilson in Mississippi but raised in Atlanta, smooth contemporary R&B crooner Bobby V — known as Bobby Valentino until a lawsuit from a British performer of the same name — had a hard time convincing his skeptical parents that the music business was the place for him. When the 16-year-old Wilson hooked up with the Organized Noize production team, his parents knew he was serious and that his dream of a record deal was entirely possible. With a group of friends, he formed Mista, a Boyz II Men-styled singing group that made some waves with their single “Blackberry Molasses.” The group’s self-titled album appeared in 1996 but failed to match the single’s success. A second, unreleased album was recorded with producer Timbaland‘s help, but management problems split the group and Wilson decided to focus on college. After earning his degree in 2003, he returned to demo work. One of his demos ended up in the hands of Ludacris, who made Wilson the first R&B singer in the rapper’s DTP (Disturbing tha Peace) crew. The sultry “Slow Down” announced the singer’s rebirth as a DTP member in early 2005 and soon became a BET and radio favorite. As the ballad was landing on numerous schools’ prom ballots, Def Jam/DTP released his self-titled debut, a Billboard Top R&B/Hip-Hop Albums chart-topper. Special Occasion equaled that success in 2007, yet Wilson left his label on good terms and signed with EMI. His first album for the label, titled The Rebirth and released through his boutique label Blu Kolla Dreams, was released in February 2009 and featured productions from longtime collaborators Tim & Bob, as well as Carlos McKinney and Raphael Saadiq. Fly on the Wall, released on Capitol in 2011, debuted in the Top Ten of the Billboard 200. Led by the Lil Wayne collaboration “Mirror,” the singer returned on eOne in 2012 with Dusk ’til Dawn. Wilson continued recording sleek, independently released material with 2016’s Hollywood Hearts and 2018’s Electrik.